ZTE’s subsidiary Nubia launched the new Nubia M2 Play smartphone for Indian users last week. 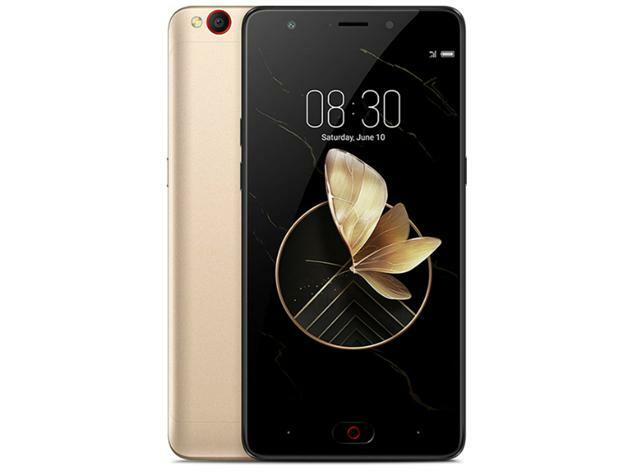 The smartphone has lower specifications compared to the Nubia M2, but is a little better endowed than the Nubia M2 Lite smartphone. Not surprisingly, the device looks similar to the Nubia M2 Lite with a metal body, curved glass, and a single camera setup at the back. There’s also a home button in the front with the fingerprint scanner placed underneath. Some of the key highlights of the smartphone are its 4G VoLTE capabilities, fingerprint scanning support, and Android Nougat OS. Coming to its specifications, the smartphone has a 5.5-inch HD (720×1280 pixels) LCD display with a solid 274 ppi pixel density. It is powered by an octa-core Snapdragon 435 processor along with a 3GB RAM and Adreno 505 GPU graphics. The Nubia M2 smartphone offers 32GB of internal storage with a microSD card slot that lets you expand up to 128GB. Also, it runs on Android 7.0 Nougat with a nubiaUI 5.0 skin on top. On the imaging front, the Nubia M2 Play sports a 13-megapixel main Sony CMOS sensor at the back with an f/2.2 aperture, flash support, and hybrid autofocus. It also sports a 5-megapixel 84-degree wide-angle front camera with f/2.4 aperture for more composition in selfies. Further, the smartphone packs a 3000 mAh non-removable battery, and connectivity options include 4G VoLTE, Bluetooth, Wi-Fi 802.11 b/g/n/ac, GPS, and GLONASS (Russian version of GPS). The Nubia M2 Play smartphone is 7.9mm thick, and comes with a Neo Power 2.5 technology package that helps in battery optimisation as well as scenario-based smart sensing to let the user strike out a perfect balance between performance and energy consumption. The Nubia M2 will go on sale exclusively via Amazon for Rs. 8,999 only starting from today.